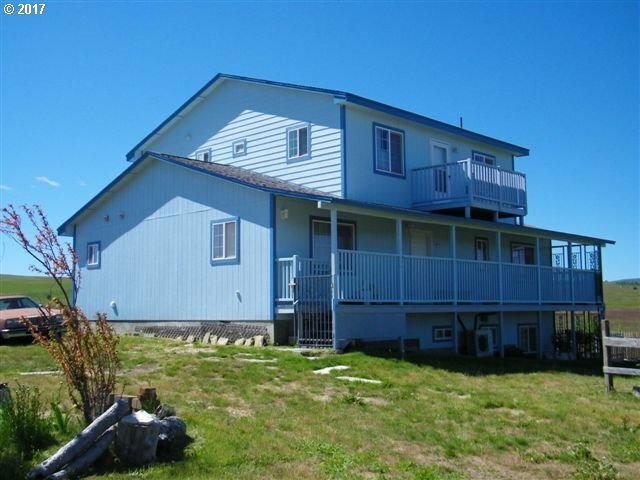 Custom 2 story stick built farmhouse, partially finished bsmt., porches, balconies, views of multiple mountains. Several versatile outbuildings with electricity can serve as barns, garages, shops, storage. Huge country kitchen. 2nd floor living/family room provides the best views. 3 story compact guest cabin has sleeping loft, cement floor storage below the main living level. Good usable land. Horseshoe Bend Rd. is a paved county road.